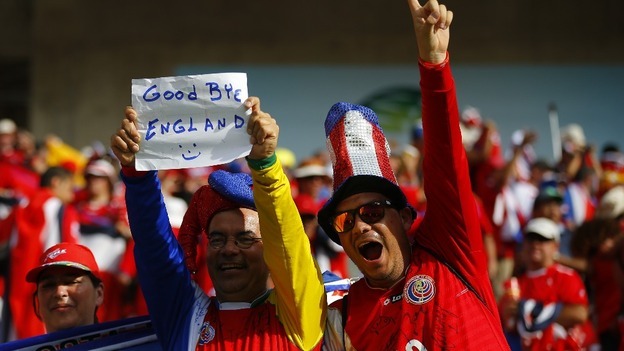 “It’s all gone a bit flat here.” These were the words of BBC 5-Live’s chief football correspondent George Riley in his report from Rio this morning, following England’s rapid exit from the World Cup at the hands, or should that be feet, of Costa Rica – before we had even played them! As might be expected, his report was heavily cliché-ridden, focussing particularly on the need for facing uncomfortable Truths. He was making his comments from the comfort of the massive World Cup Media Centre in Rio de Janeiro, but was he reflecting the mood of England fans in Brazil, or the atmosphere among the thousands of two-bit Fleet Street hacks whose long summer holiday watching the Girl from Ipanema had just been cut drastically short? Because the greatest Truth to be faced here is that, were world cup success for our soccer team measured purely in back-page column-inches, then we would have won more trophies than Brazil and Germany put together. The problem with writing history before it actually happens is that you leave yourself open to irony, at the very least, especially if the architect of the reversal has been an object of much ridicule from you in the past. The main question is, as this is something that Britain’s sports press has just experienced for the umpteenth time, will they now learn any lessons? For it was the back pages of both printed and broadcast media who had set the scene prior to the start of the competition, by convincing themselves that a draw against Italy and/or Uruguay would probably be enough to see England through to the knock-out stages, because the last game would be a guaranteed three-points off of the group’s whipping boys, Costa Rica. On this shortest of journeys to ignominy we have had the usual mix of exagerrated backstories. There were the “fears” about the pitch in Manaus. Most footballers may have mild concerns about a pitch, but I doubt they would ever “fear” one – but that is the language of 21st-century football-punditry. When those “fears” came to nought, along with England’s points-score, they were replaced by four days of open debate about our only player potentially capable of a “world class” performance, and where, or even if, he should play. Nicky Campbell, easily 5-Live’s most annoying presenter, would even preface what was expected to be a serious discussion with a senior politician on the plight of refugees in some war-torn part of the planet, with the question: So Minister, where should Wayne Rooney play on Thursday? The result of all this was Roy Hodgson being brow-beaten into moving Rooney from the left to the middle, to which the player’s own response was to play much of the Uruguay game back on the left. Yes, he finally scored his first goal in a World Cup finals tournament, at the age of 28 and after 94 caps, but that was eclipsed by England’s (and most of the Premiership’s) nemesis who managed to return after a month on crutches to thump-in twice as many. Now that’s what you call world-class. This left our media with the perfect scenario (for them): a route to the knock-out stages that depended, in the reality of the circumstances, on unlikely results in all three remaining group games, plus a mathematical problem that would not have remotely-stretched Euclid, but could provide our army of pencil-pushing numpties with five days of frantic debate as they jabbed their calculators to find alternative scenarios to create ever-increasing paranoia. Is it any wonder Italy lost, when their ageing ‘keeper couldn’t even remember which pairs of boots and gloves he was supposed to be wearing? Perhaps we should be thankful for Brian Ruiz’s intervention last night, as at least it has spared us from all of that. This is, of course, the same Brian Ruiz described constantly by Fleet Street since his move to the Premiership in 2011 as the Fulham Flop. Payback time, maybe? Some of us may have actually been breathing a sigh of relief after the game. Certainly Her Majesty must have found some solace in no longer having the prospect of needing to kiss Mario Balotelli; so should we await the surprise announcement of Brian Ruiz OBE in this year’s Birthday Honours List? Now will begin the long drawn-out post mortem into England’s record-breaking (for all the wrong reasons) six-day stay at the World Cup finals. Doubtless the BBC will reopen the coffin-shaped cupboard he lives in and release David Bond, complete with black suit and white cat, to comb-over the ashes. But isn’t it really time for a different form of inquiry? Instead of traumatising yet-another generation of promising young players with the eternal stigma of premature shame, before some have even left their teenage years behind them, shouldn’t the mirror of Truth be focussed on the real culprits here – the tired hacks who spend their lives watching the game, but couldn’t kick a ball through an open barn door from six-yards? After all, it was they who assessed Costa Rica as the no-hopers of the group they sit atop in the cold light of this morning, already qualified for the next phase. It was they who considered that England could easily qualify out of a group at the expense of either Italy or Uruguay – more likely the latter as they would be without their star-striker, who then rose Lazarus-like to deliver the fatal blows. It is still not too late for what should have happened after London 2012 – a complete re-assessment of the performance of our sporting media. 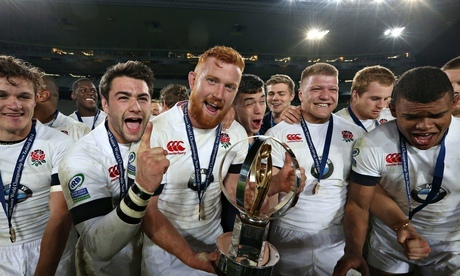 For example, were you aware that, while the Nation had it’s eyes focussed by our media on a soccer game in Brazil between two other countries, England’s under-20 squad were actually retaining – yes retaining – Rugby Union’s Junior World Cup in Auckland, only the second team in history to do so? No longer should there be ten pages of football at the back of every daily newspaper, even during the summer, at the expense of every other sport that we play in this country. Because the Truth is that football writers are as overpaid and overrated as the players they write about and, as a consequence, have simply evolved into a parasitic species without which their hapless hosts cannot survive. So Rio, I suppose we could have been looking at a completely different result if they took one of those early chances in the second half. Yes Gary, we could have been talking about a totally different result if them two chances went in. It brought a whole new Truth to Alistair McGowan’s marvellous mimickry of the two of them. Of course, there is still the final game to endure on Tuesday. Doubtless, many of the media will be trying to spin something around it, but I doubt even die-hard fans will be interested any more. With managing editors already taking red pens to their budgets, those hacks already destined to precede the team home have sharpened their pencils ready to plunge into the backs of the easiest targets they can find. Leaving aside the inevitable calls for the manager’s head, we are already getting side-stories about the cost potential to our economy. According to early estimates, this will be £1.3bn (just how many cross of St George car flags did we order from China, for goodness’ sake?) but others feel this could rise to more than double that. Just a few months ago, the Daily Mail estimated that failure to qualify would cost the country £2bn. Perhaps we should have just cut our losses back then. Still, there’s always a silver lining: those ninety-quid England shirts will be under a fiver in Sports Direct on Wednesday – just what you need for cleaning the Vauxhall with. 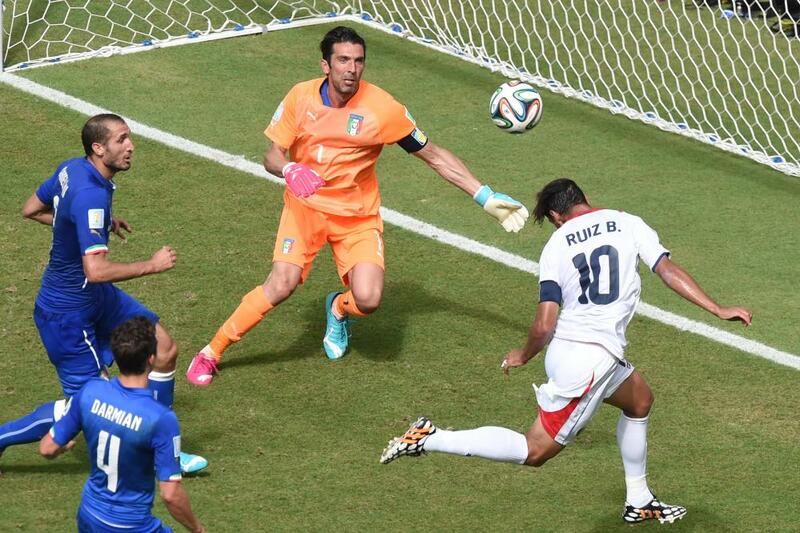 ← I was going to do a World Cup blog…..
Well observed and written. Spot on, thanks for a few minutes of light relief. I have often compared the salaries/commitment differences in professional football to those in nearly all other sports, in my case rugby. Passion, commitment, pride, etc against huge salaries and perceived indifference .